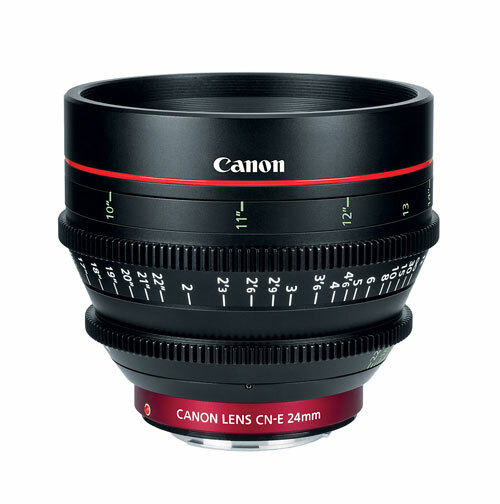 Apply for a Canon CN-E24mm lease: 1.99% & 0% Interest Lease Program. Canon ITCG, in partnership with Canon Financial Services, Inc. is offering 1.99% financing for 36 months and 0% for 24 month leases. Purchase a combination of three, four, five, or all six lenses together as a 'set' to qualify for a Canon Cinema Prime Lens Discount! A combination of Cinema Prime Lenses means a combination of different prime lenses: multiples of the same Cinema Prime Lens doesn't qualify. Simply add three to six different Cinema Prime Lenses and the discount will be applied automatically according to the Discount Program.